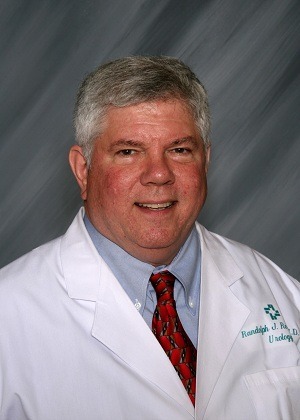 Dr. Randolph J. Ross is board certified in urology at Hattiesburg Clinic. He obtained his medical degree from Tulane University School of Medicine in New Orleans, La., and completed a general surgery internship at Ochsner Foundation Hospital and Clinic in New Orleans, where he also served his residency in general surgery and urology. Additionally, Dr. Ross completed a fellowship in transplant and renovascular surgery at Cleveland Clinic Foundation in Cleveland, Ohio. He holds certifications by the American Board of Urology and in lithotripsy at Massachusetts General Hospital in Boston, Mass. Some of his affiliations include the American Medical Association, Mississippi State Medical Association and the Hattiesburg Clinic Board of Directors, among others. Dr. Ross’ practice includes special interests in kidney stones, prostate cancer and erectile dysfunction. Tulane University School of Medicine - New Orleans, La. Ochsner Foundation Hospital and Clinic - New Orleans, La. Former clinical assistant professor of urology at Tulane University - New Orleans, La. Adjunct clinical professor at William Carey University, College of Osteopathic Medicine – Hattiesburg, Miss. Massachusetts General Hospital - Boston, Mass.